In today’s world, finance and relationships are the main problems that most of us face. Affirmations is one way of dealing with relationship problems. Relationship between any two humans is a dynamic thing. One cannot expect relationship between two people to go places if both take each other for granted or both just sit on their butts doing nothing about it. Two interconnected humans - be they parents and children, husband and wife, brother and sister, lovers or simply two friends – have to interact positively for the relationship to form, be maintained and to flourish. And for this to happen, you should be mentally tuned in to each other. That is where these affirmations help. I have found that when I am upset with my wife over something and there is some agitation in my mind, then, the wife also gets agitated over some simple matters and sparks start flying between us. Relationship affirmations, when repeated over and over, help polarize our thoughts with that of our partner. As every student of mind study knows, we all radiate our oft held thoughts and our thoughts attract minds radiating similar thoughts. Thus, if we radiate loving thoughts about our partner, then it is obvious that if our partner has same or similar thoughts, it will become very easy to connect. Choose from the affirmations from below, repeat over and over for a period of at least six months and see your mental attitude change and so your relationship. get along fine with him/her. My boss appreciates my work and helps me grow. 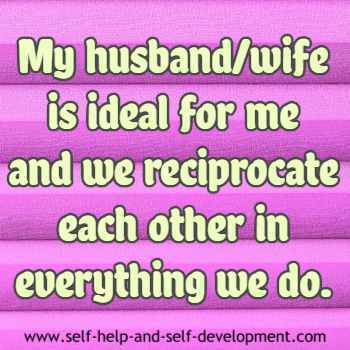 My husband/wife is ideal for me and we reciprocate each other in everything we do. My employees are hardworking and honest and I appreciate and love them. 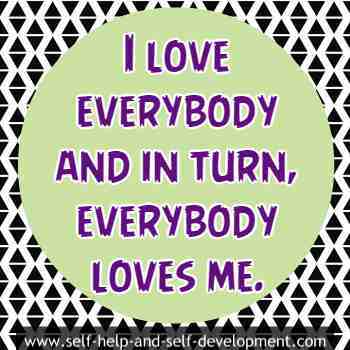 I love everybody and in turn, everybody loves me. In my life, I attract only those people who are in sync with me and who love me unconditionally. I love my children unconditionally and accept them as they are. As a teacher, I give my best. My students understand my teaching and love me. I am a model student. My teachers are the best. I love them and their teaching. __________ and I are friends forever. We understand and compliment each other perfectly. My brother/sister and I are a perfect foil for each other. We love, respect and appreciate each other always. My life partner/lover and I are soul mates. 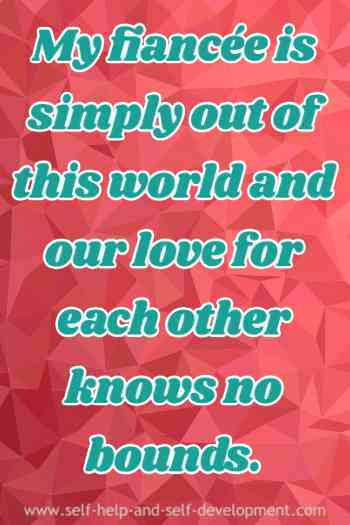 We compliment each other, respect each other and love each other immensely. Remember, merely mouthing the affirmations may not work. You also have to work on your relationship. Hugging, kissing, patting on the back, giving a gift without reason, appreciating, etc. are some ways in which you can demonstrate your feelings. 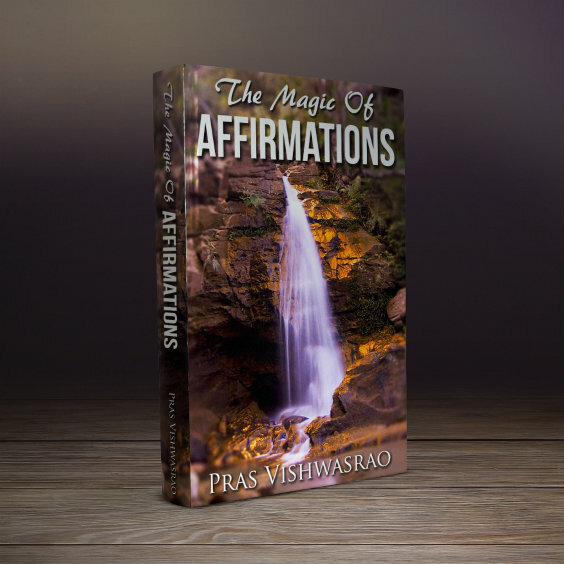 Another way of using affirmations is through hypnosis CDs or MP3 downloads. As you are aware, hypnosis is a powerful way of influencing the subconscious. If, in addition to affirmations, you also listen to hypnosis CDs or MP3, once in the morning and once at night before sleeping, it will do wonders to your progress. Click on each link below to learn more about the download and then decide whether you would like to buy them. What is wonderful about them is that they come with a 90-day money-back guarantee! Go get them. You may also like: Is insecurity ruining your relationships?